We are in awe of this beautiful gown. 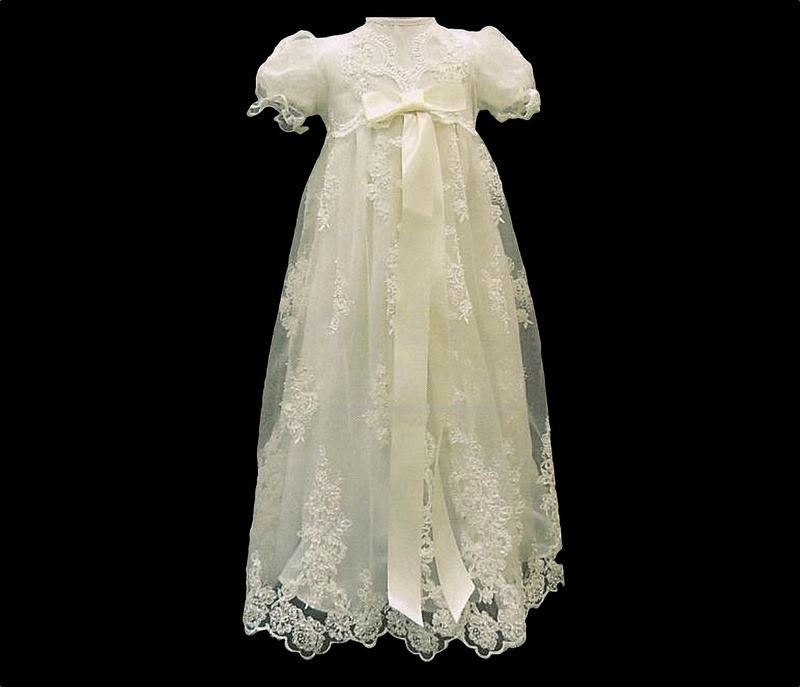 It is an exceptionally beautiful & an elaborate antique heirloom christening gown which is sure to impress. The stunning Ivory overcoat is richly detailed with embroidery & beads. The waist of the coat is complimented with an Ivory white bow. The overlay is made from lace & the underskirt is made from Silk. Comes packaged in a zipper garment bag.